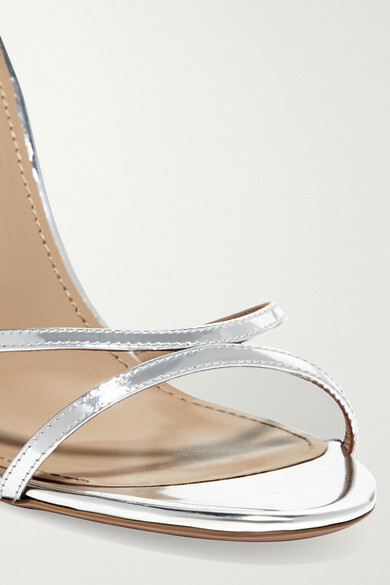 Aquazzura's 'Purist' sandals are named for their minimalist, uncomplicated design. 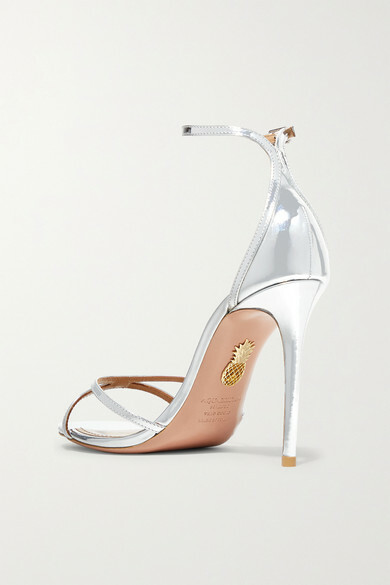 They're made from sleek mirrored-leather with slender, foot-framing straps and set on a 105mm stiletto heel. The barely there silhouette works with everything from midi dresses to jeans. 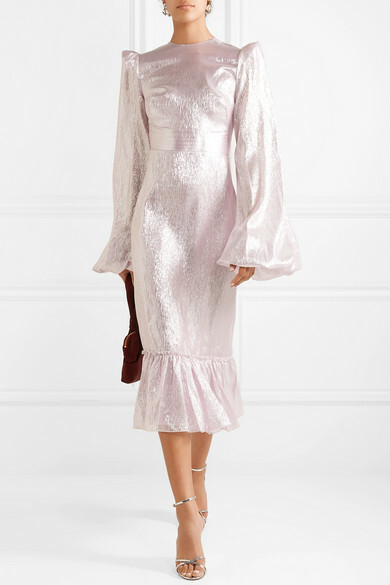 Shown here with: The Vampire's Wife Dress, The Row Clutch, Simone Rocha Earrings.